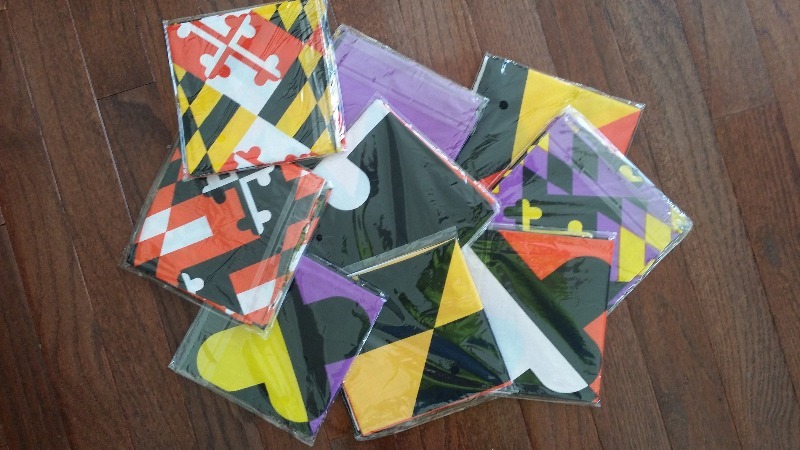 Now carrying Maryland Flag bandanas in 3 distinct patterns! Buy the designs separately, or get the bundle pack (all 3 designs) at a discount! We get a lot of compliments on it. Fits perfectly around his neck--he weighs about 60 lbs. My dog looks great wearing it!